100% manual production, and traditional carpentry handcarfts. Securing table tops with oil or lacquer. Made completely of solid wood, warm and pleasant to the touch. Individual order, each of our table is the original, each is unique and tailored to customer requirements. The basis of the table consists of the legs made by hand and precisely adapted to each product accordance with individual customer’s order. On request, legs can also be painted in any RAL color, so as to perfectly harmonize with the whole composition. 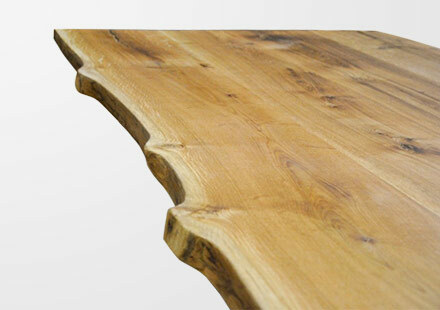 Each of our wooden table tops can be secured in the process of oiling or lacquering. Każda z krawędzi naszych blatów drewnianych może zostać na życzenie klienta wykończona w sposób naturalny lub ciemny. Każdy naturalny ubytek, sęk i pęknięcie jakie posiadają nasze produkty, może pozostać naturalny lub na życzenie klienta wypełniony na czarno, w kolorze drewna lub transparentna żywica. TREBORD Natural oil for wood and wooden equipment and accessories is a colorless protective agent consisting of pure oils. It cleans, renews, protects against moisture, dirt and UV radiation. It is a 100% natural product, NSF approved for contact with food. It forms a layer resistant to thermal and mechanical factors on the cleaned product. 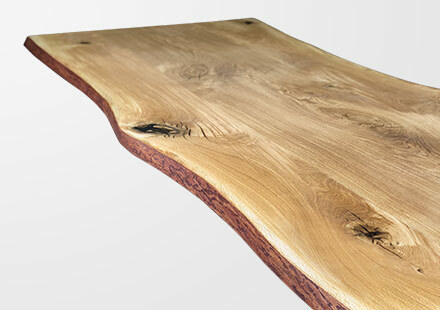 It has hydrophobic properties that protect wood against water. It restores the correct level of hydration, elasticity and prevents drying. 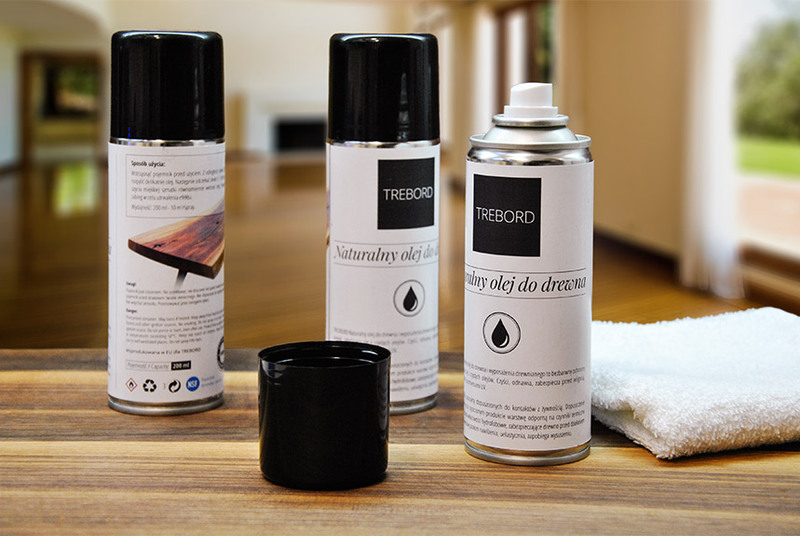 TREBORD Natural wood oil is a colorless protective agent consisting solely of natural, pure oils. Systematic preserving of furniture will allow you to protect the wood from water and will maintain proper moisture level to make the material more flexible, and will let you enjoy perfect look of TREBORD products for a long time. Everything you need for daily cleaning of your furniture, e.g. to remove the crumbs, is a dry paper towel or cotton cloth. Remember that natural oil which protects products by TREBORD has antistatic properties. If the wood is particularly dirty, you can use a cloth moistened with preparation of Pronto for wood. However, immediately afterwards a wooden surface should be wiped with a dry cloth or paper towel so that the moisture does not remain on the surface. Please do not use micro-fiber, nor water or any chemicals to remove stains. For maintenance, refreshing and protection of furniture, spread a thin layer of TREBORD “Natural wood oil.” Let the oil be absorbed into the wood for no longer than 10 minutes, otherwise the surface of the piece of furniture will become viscous. Use a dry cotton cloth by TREBORD to thoroughly clean the furniture from oil excess. Remember to always wipe wood furniture along the grain and never across it. Please do not use micro-fiber, nor any water or any chemicals to remove stains.